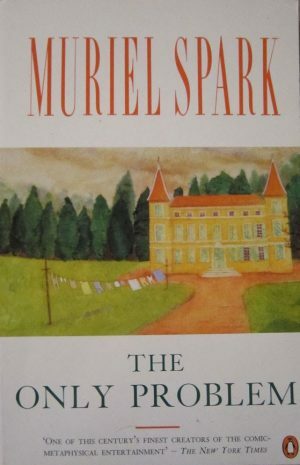 In Muriel Spark’s seventeenth novel, The Only Problem, the rich and secretive Harvey Gotham is holed away in a small cottage in France. He lives with the smallest of comforts, working on a book about the character of Job, from the Book of Job in the Bible. As Spark’s novel unfolds, Harvey’s suffering is likened more and more to that of the biblical character, his study of the Book of Job is central to his own stoic character, whose problems are ultimately of his own creation. The real-life crises that occur during the writing of his monograph do not deter him from continuing, and like Job’s comforters, his visiting friends cannot provide the answers to the multiple questions that arise. Spark’s novel is separated into three parts, the first two with five chapters each, and the final part with two shorter chapters. Harvey initially leaves his wife Effie about a year before the narrative begins, and after she steals a bar of chocolate while they holiday with her sister Ruth and her husband Edward. He then refuses to divorce Effie or give her the monetary settlement she desires. 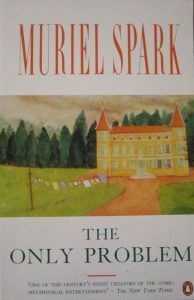 Effie becomes pregnant with her lover’s child and leaves the child in care of her sister Ruth, who brings the child to Harvey in France. Ruth and Harvey become fast friends, and eventually lovers. They buy the chateau just up the road from Harvey’s cottage. Although it seems that these complicated relationships have resulted in a ‘happy ending’ for Harvey, Ruth and baby Clara, this is short-lived. Effie becomes involved in the F.L.E., the Front de la Liberation de l’Europe, and commits several terrorist attacks in the region of France where Harvey and Ruth live. Spark’s concision and wit throughout her writing are shown prominently through the character of Harvey, whose dry sense of humour while being interrogated by the police and media makes for an amusing read. After Effie’s death during a police raid, Harvey can finally finish his work on Job, as the existential crisis in his life has come to an end. The “only problem” for Harvey is his difficulty in reasoning that a “benevolent creator” can “condone the unspeakable sufferings of the world.” Although Harvey experiences problems similar to those of Job throughout the novel, eventually he cannot rationalise an answer to his own “only problem”.